Imagine yourself in a quaint mountain town surrounded by pristine wilderness and filled with like-minded, youthful and adventurous people. Welcome to Whistler! 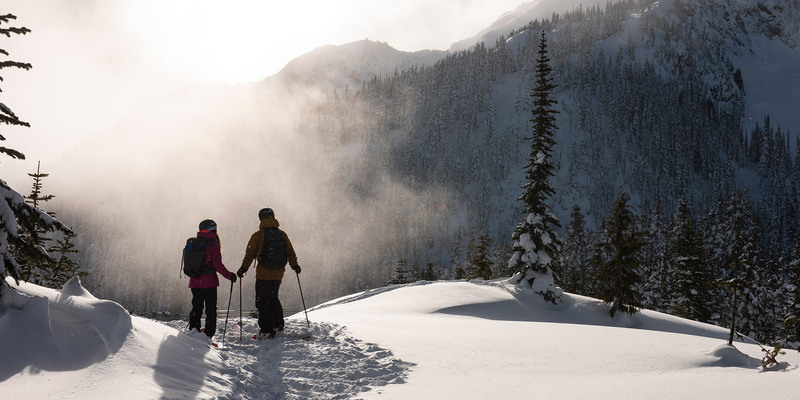 As a resident of the Sea to Sky Corridor, you will enjoy all the best in recreation complete with amazing facilities that cater to the four distinct seasons. Living in Whistler, there is a spectacular playground right in our backyard! Can you imagine biking into work on an amazing trail network past lakes in pristine nature, or going for a run with colleagues at lunch and breathing the crisp mountain air? These are some of the opportunities you have when living in Whistler, working at Tourism Whistler! Pique Newsmagazine – Published on Thursdays the Pique offers local news, entertainment listings and human interest stories. The Question – An award winning local newspaper that hits the newsstands (and online) every Tuesday. Whistler Housing Authority – Provides affordable rental and ownership opportunities for local residents. AWARE – Association of Whistler Area Residents for the Environment strives to improve the quality of life in Whistler and surrounding areas. Get Bear Smart Society – Whistler has become a bear smart community, often acting as a role model for other communities. Are all positions with Tourism Whistler based in Whistler? The majority of our positions are based in Whistler; however, some of our Sales team, due to the markets they sell, do work remotely. The specific location for each position is listed on the job posting. Employees who work remotely are required to travel to Whistler on a regular basis. Can I apply for a position from outside of Canada? In order to be selected for an interview with Tourism Whistler you do need to be legally entitled to work in Canada. Tourism Whistler is not able to assist you in securing a Canadian Working Visa. To do so we would have to prove that no other Canadian would be able to fill the position and based on the nature of our organization and our applicant pool, in most situations that is difficult for us. Will I have to travel to Whistler for an in-person interview? We prefer to meet you in person, but could arrange a phone or Skype interview for our initial screening if it is not possible for you to travel to Whistler. You will be expected to travel to Whistler for an in-person meeting if you are selected for a second interview. Do you offer internships / co-op positions?